This richly illustrated puzzle captures a taste of country life in the 1900s when most country folk lived a simple life. The early 1900s was the last gasp of a seemingly idyllic rural life, which was to change forever over the next 40 years. 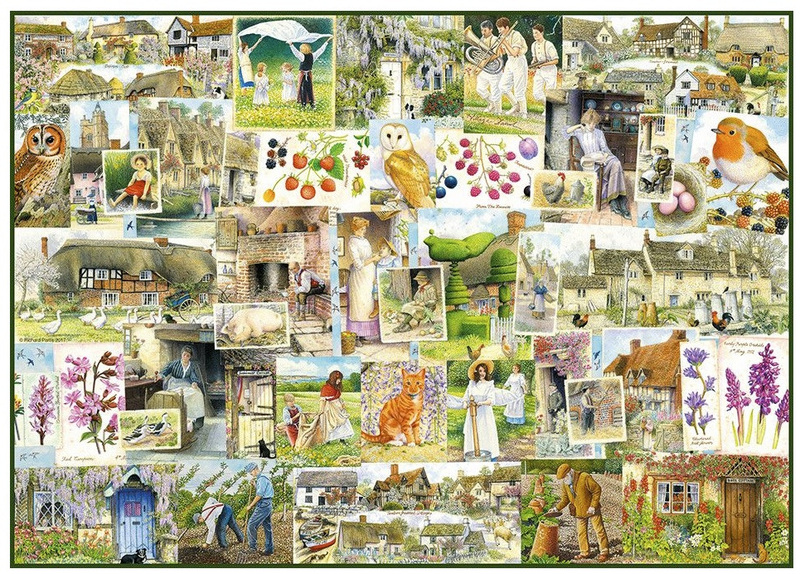 This colourful, detailed and thoroughly delightful jigsaw portrays the very best of what country life in the 1900s had to offer. Includes in the box a leaflet showing the artists biographyand additional puzzle picture for reference. 1000 pieces. 70 x 40 cms.